The Bug Boys: The class 11 bug is back on the ground. 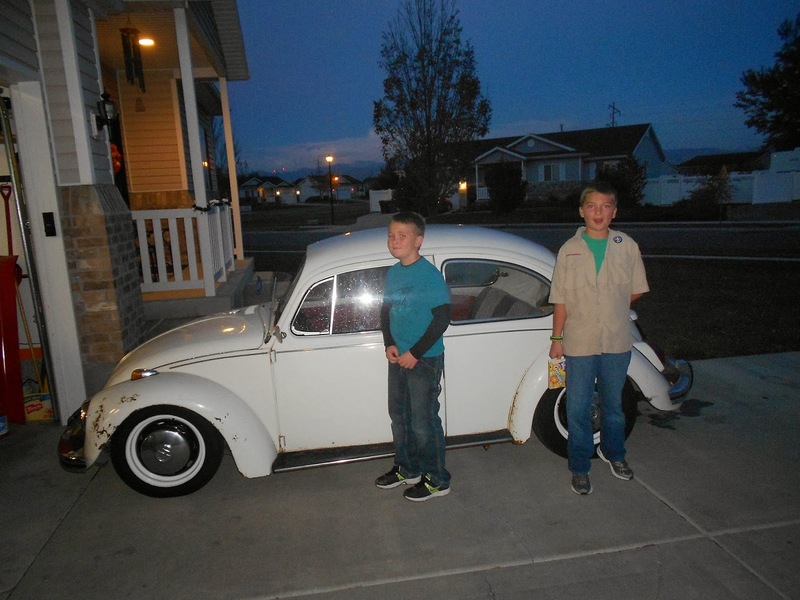 I finished up the front end of the bug tonight and got it off the jack stands. Here the front end is all done except the dust cover needs to be put on. I installed new ball joints, Tie rods, steering stabilizer, raised spindles, speedometer cable and I repacked the wheel bearings. 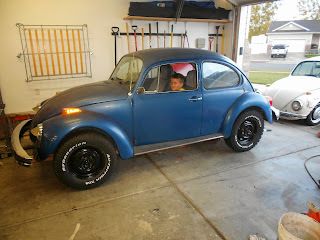 I guess I could of cleaned up the front beam and torsion arms and painted them but I want to get this thing on the road! I did take the time to strip and paint the drums. They looked pretty rough but cleaned up nicely. 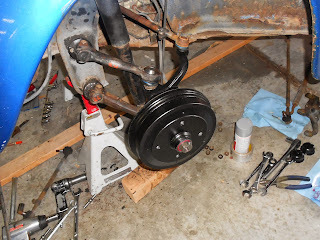 When you install raised spindles, your speedometer cable will be too short. 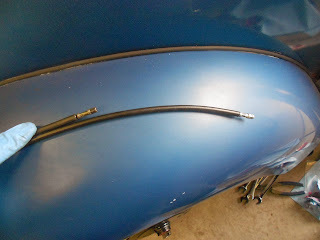 I found that a super beetles speedometer cable is a little bit longer and works out to be the perfect size. Here you can see the difference between the 2. It's also a good idea to make sure the raised spindles you buy have the hole for the speedometer cable if you are planning on using it. Here it is right after I got it off the jack stands. It is sitting absolutely perfect. I love the stance it has here. There is only 1 problem though. I don't have the engine installed. This is the exact height I want it to be when all is said and done though. Isaac is really excited. 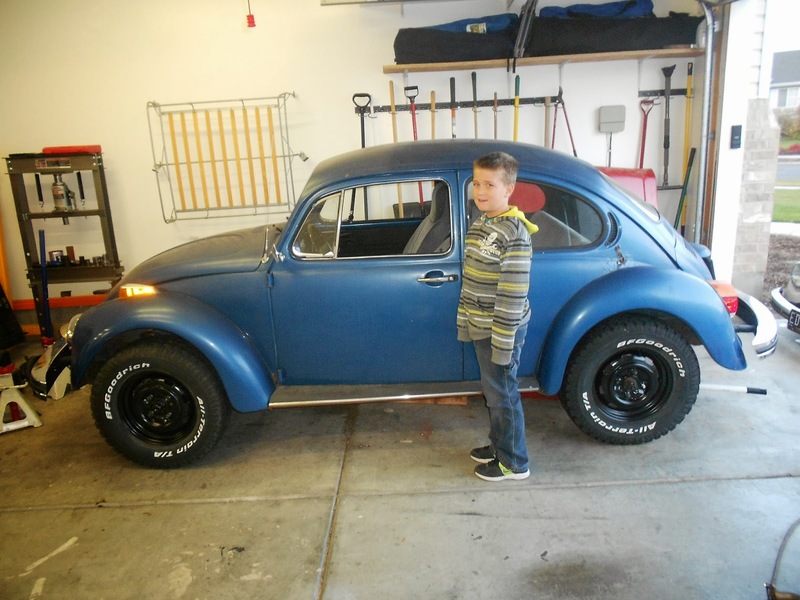 He wants to drive it so bad. I kinda do too. I think a couple more weekends and we will get it out under it's own power. Isaac was surprised that it is taller then he is. Here you can see the difference in our other bug. Isaac is used to this one. 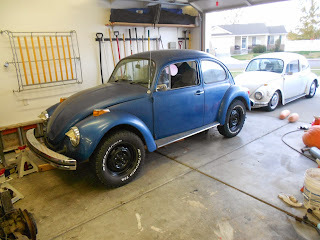 I have to admit that getting into the blue bug will be a ton easier then the white one. 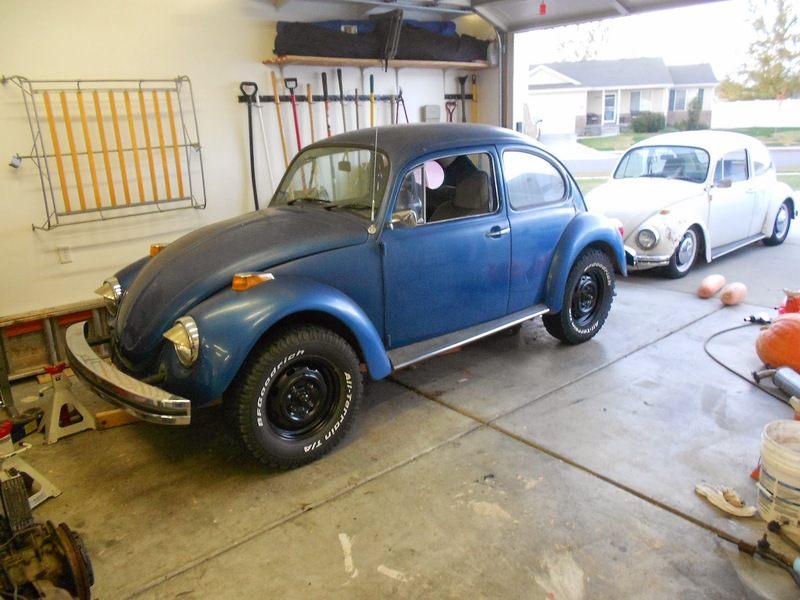 Maybe I can even get my Dad to go for a ride in the blue one. He won't go with me in Ed for some reason??? 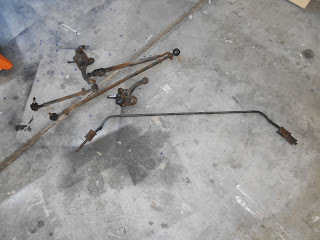 Here are the parts that I replaced from the front end. 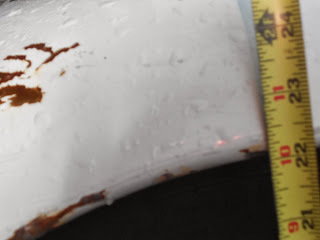 I am a little over 30 inches to the bottom of the front fender. Ed is 22 inches so I am over 8 inches different between the 2. It seems like these 2 cars are at the extremes when it comes to ride heights. So I have came up with a plan to raise the rear end of the bug and only have to do it once. 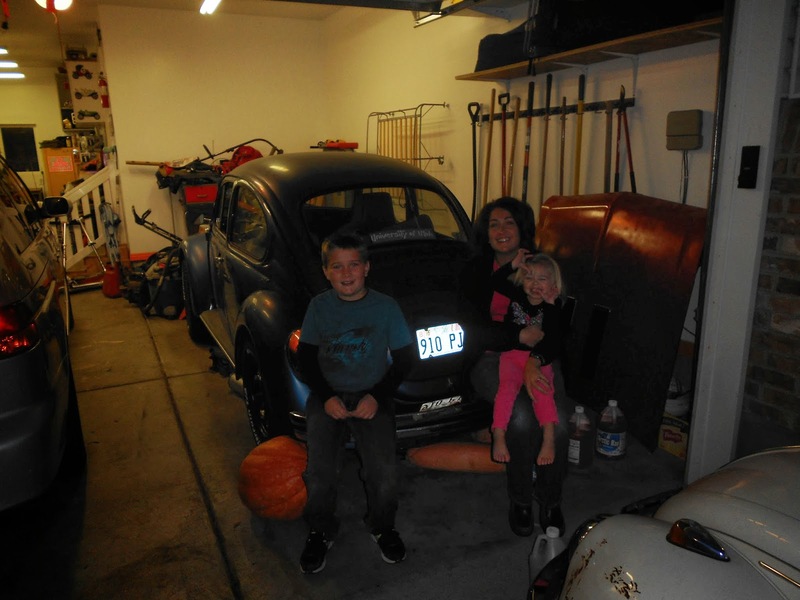 I had Dixie, Ellie and Isaac sit on the back bumper of the bug. That is to simulate the weight of the engine. 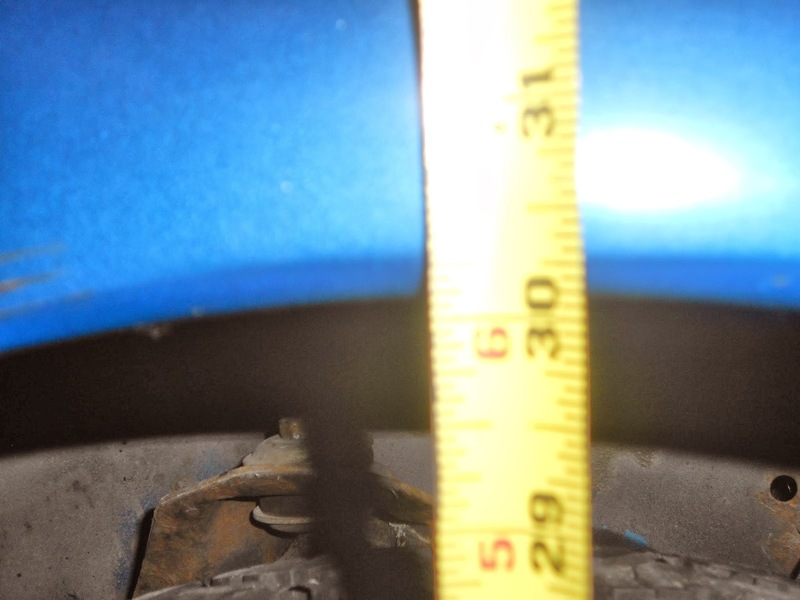 I then measured the height from the ground to the middle of the rear apron. It was 11 inches. 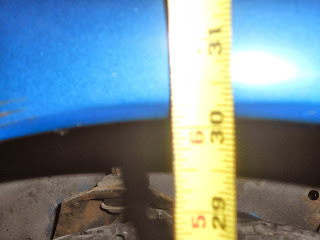 I then raised the car to where I wanted it to sit when it was raised and remeasured the back apron. It turned out to be 14 inches. 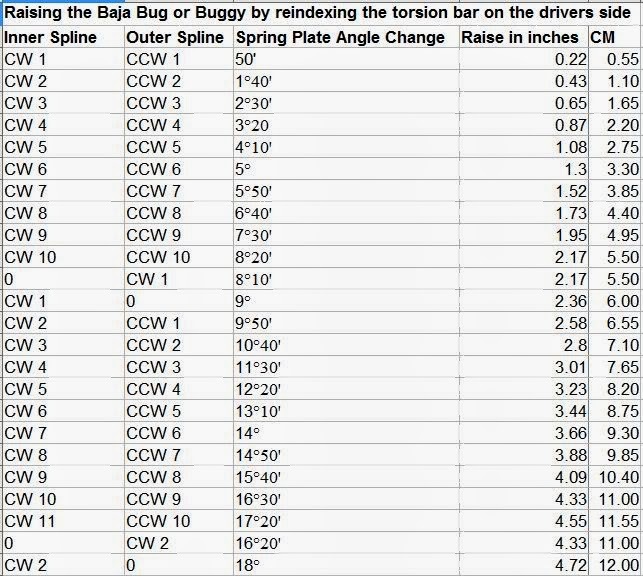 So I need to re-index the rear spring plates so I get a rise of 3 inches. I found this chart on the samba. 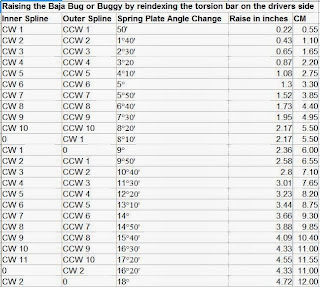 According to the chart I need to turn the inner splines of the torsion arm 4 "clicks" clockwise and the outer splines 3 "clicks" counter clockwise. That should give me 3.01 inches of rise. I want to say that I am going to do that this weekend but I have a feeling that I am going to spend all of Saturday putting the engine back together and ready to install. There just is not enough time on Saturday to get everything done. 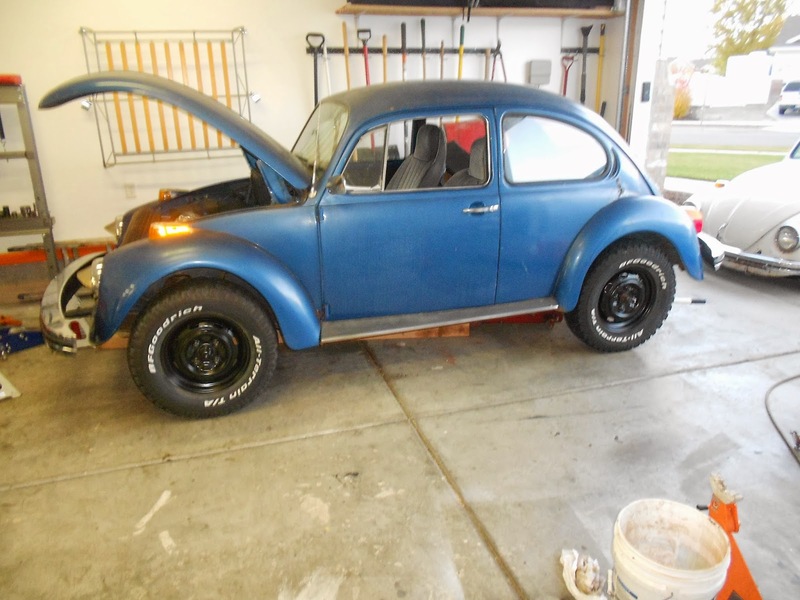 I still have high hopes of getting this on the road soon so I don't have to drive my lowered bug in the snow. Until next time, Keep your eyes on the road and not on your phone while driving!